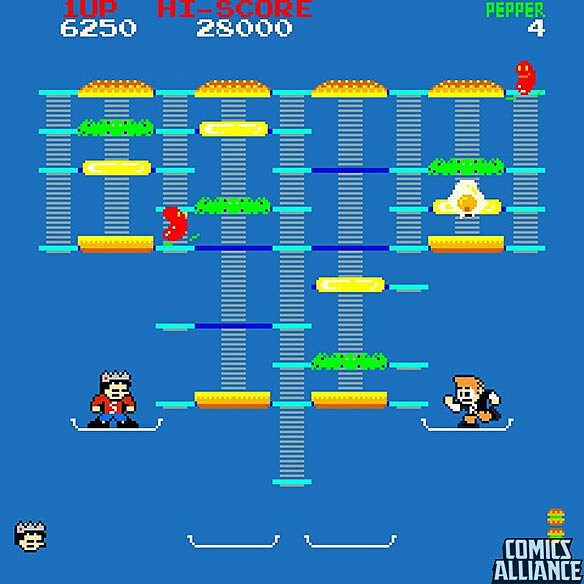 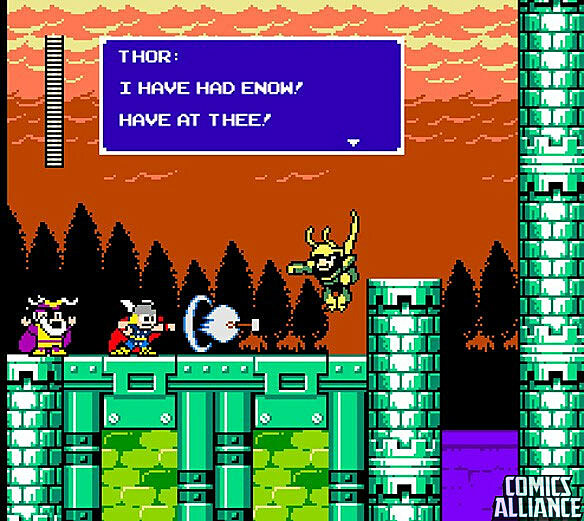 When I was talking about the upcoming "Thor" game last week, I got around the lack of screenshots by whipping up my idealized 8-bit game for the God of Thunder. 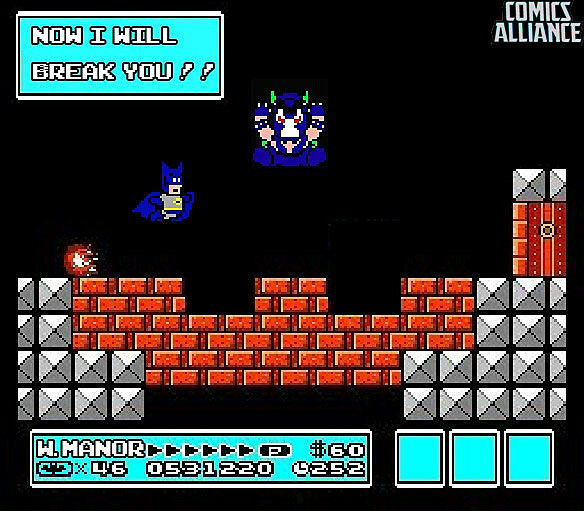 And that got me thinking: What if they had converted my other favorite comics into 8-bit NES games -- or, in the case of Batman and the X-Men, what if the games they were in were actually good? 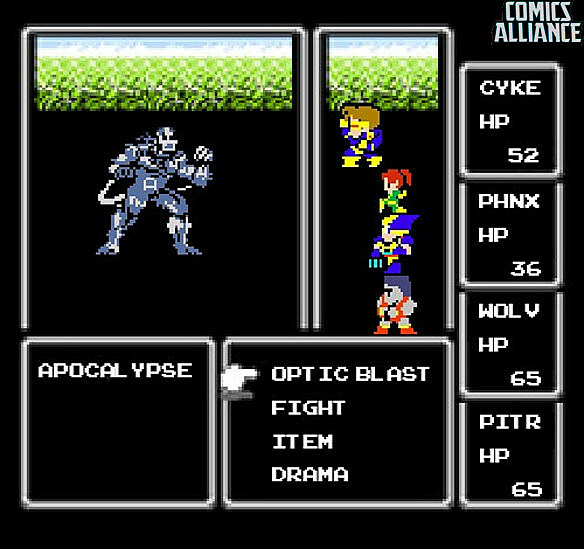 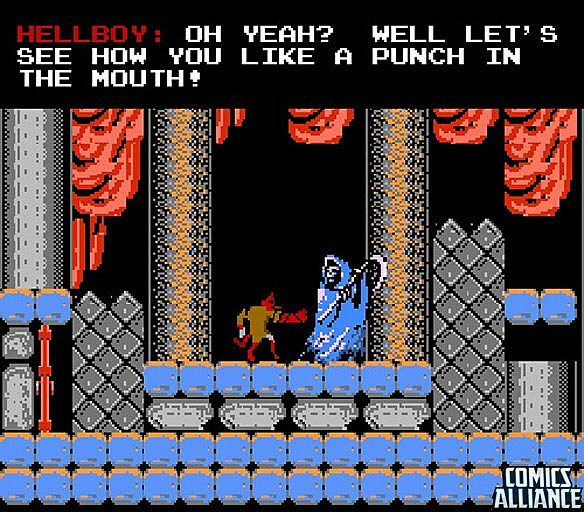 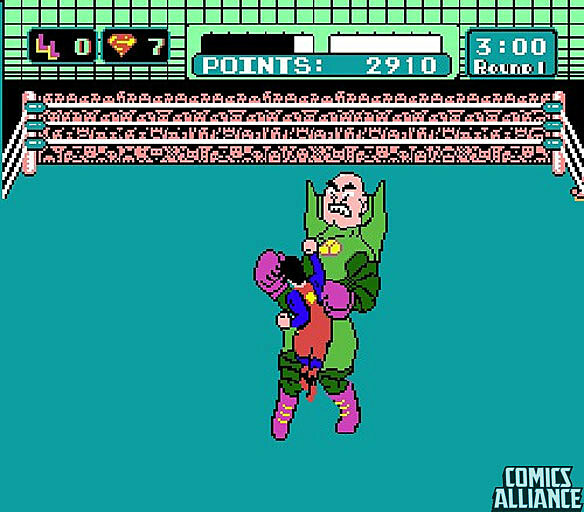 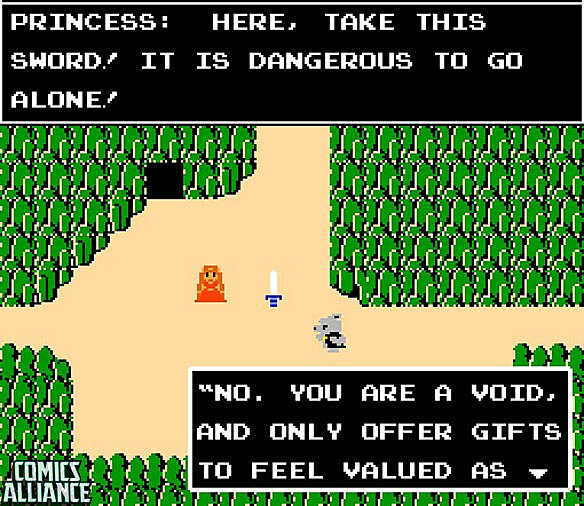 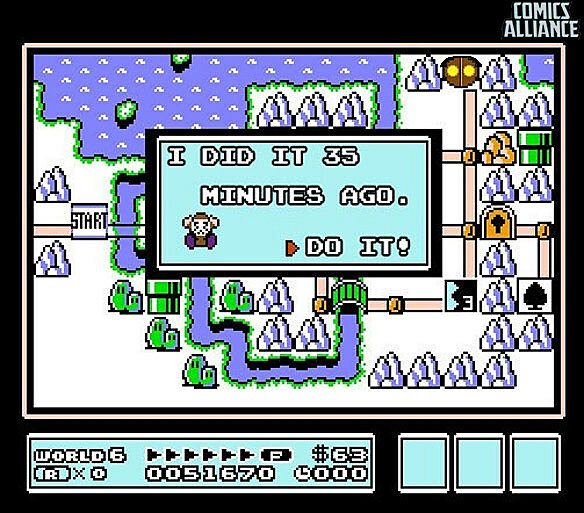 So today, I'm playing with power as I imagine what a few great comics might look like if they had their roots in the 8-Bit Games of the NES era!